BSL-2 is similar to BSL-1 and is suitable for work involving agents of moderate potential hazard to personnel and the environment. It differs from BSL-1 in that laboratory personnel have specific training in handling etiologic agents and are directed by competent scientists, and access to the laboratory is limited when work is being conducted. 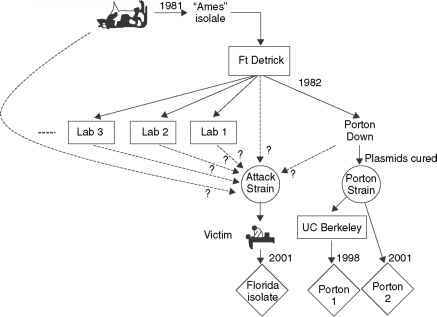 All manipulations of biological threat materials are conducted in BSCs or other physical containment equipment. Most hydrated diagnostic samples containing biological threat agents can be safely processed within a BSC at BSL-2.11 However, great care must be used with finely divided, easily dispersed powders, and it is generally recommended that such samples be processed in a Class-III BSC (glove box) or be transferred to BSL-3 containment.